Cartier’s Fine Watchmaking line of haute horlogerie continues to expand apace with three new additions that will be presented at SIHH 2017 in just over a month. 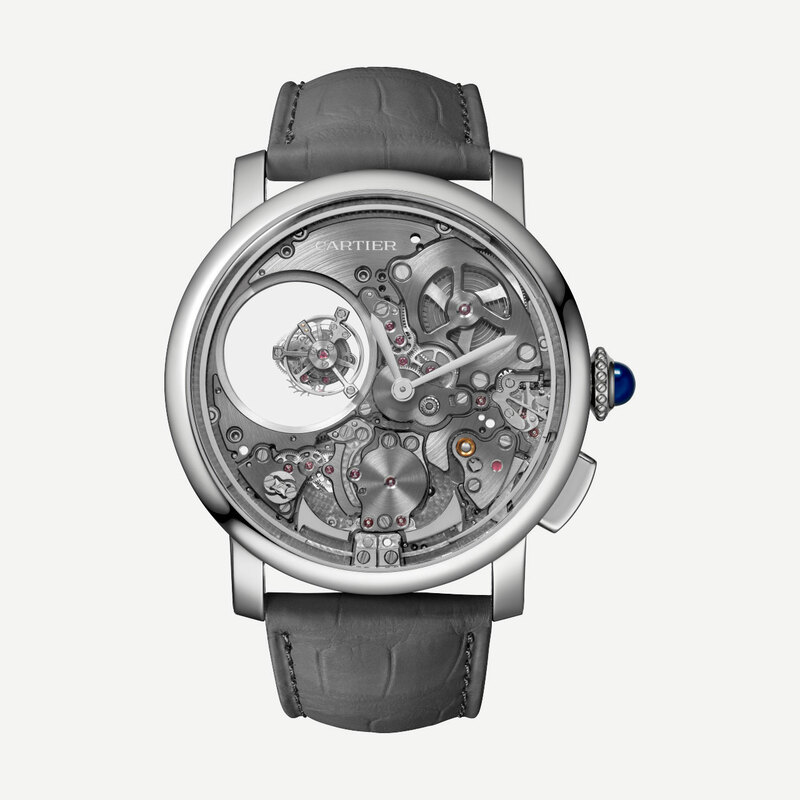 The flagship complication, or actually triple complication, is the Rotonde de Cartier Minute Repeater Mysterious Double Tourbillon. 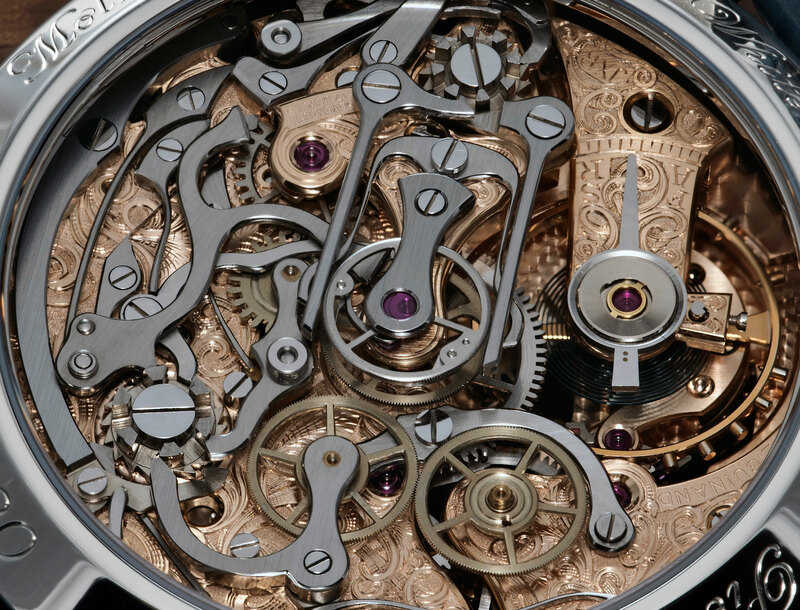 Powered by the 448-part calibre 9407 MC, this features a minute repeating function similar to that found in last year’s Grand Complication Skeleton, the most complicated wristwatch ever made by Cartier. 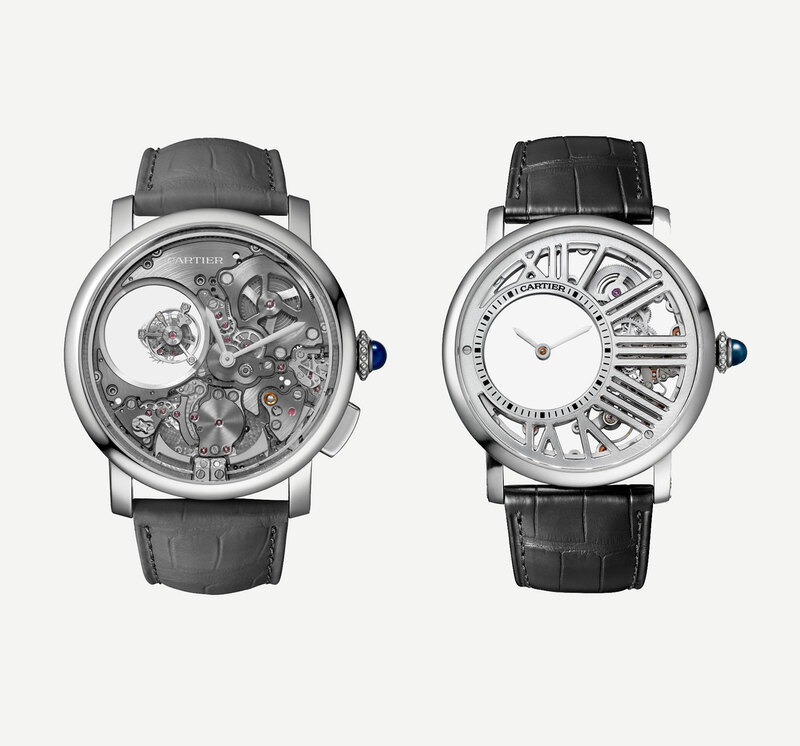 To maximise the volume of the chimes, the 45mm case is titanium with a hollowed-out interior. 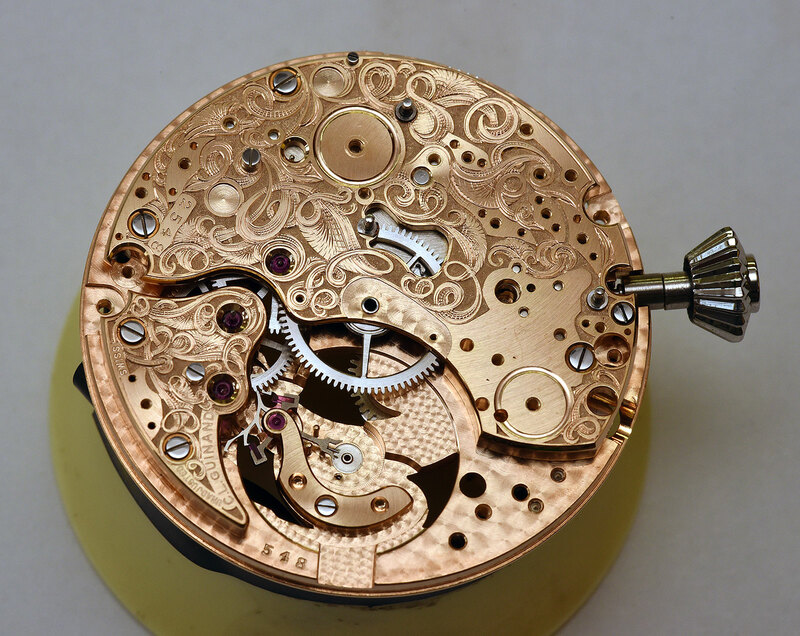 And to show off the movement, there is no dial at all. Both hammers are visible at six o’clock, while the gong circles the edge of the face. Most of the bridges and base plate are plated in black rhodium, for a dark grey finish that contrasts with the steel and silvery rhodium-coated parts. 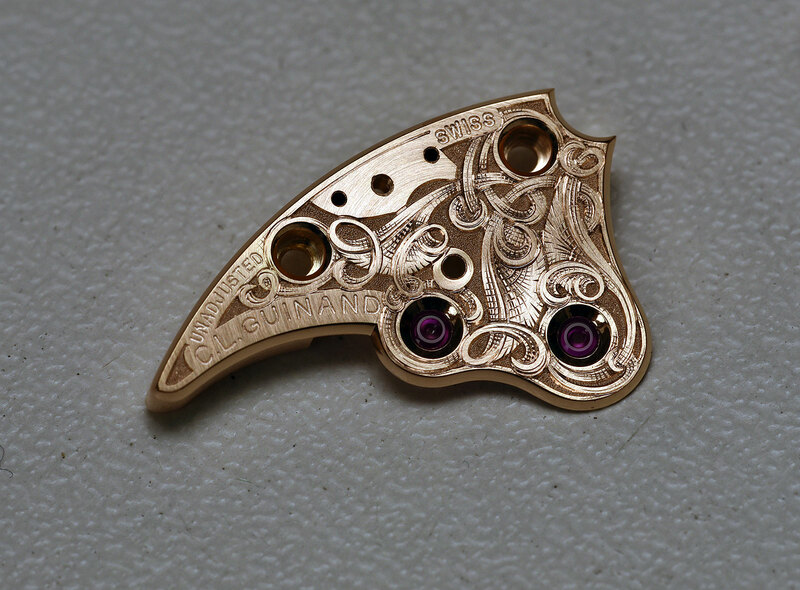 Like all of Cartier’s tourbillon watches, this calibre is hallmarked with the Poinçon de Genève, or Geneva Seal. 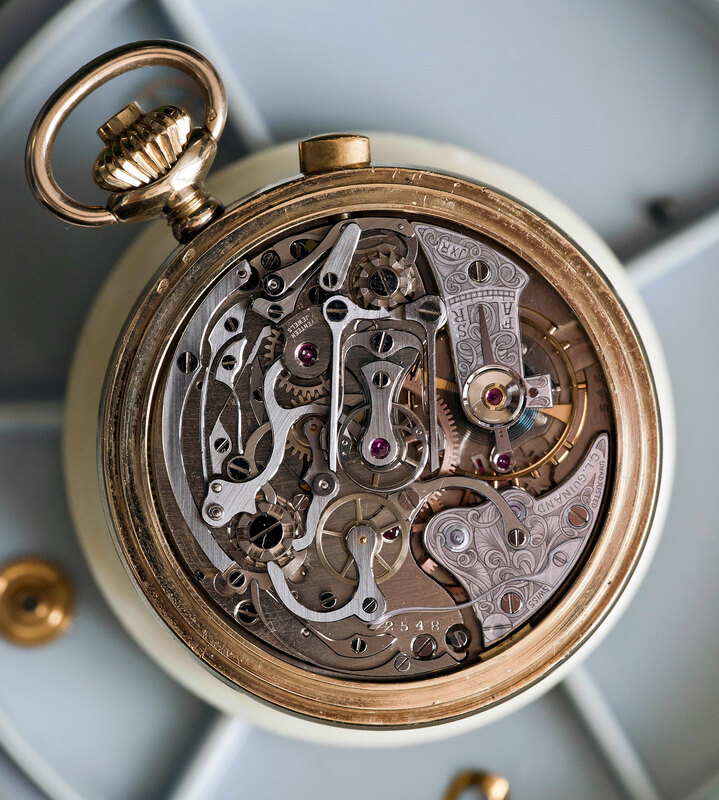 More intriguing is the mysterious double tourbillon inside an airy aperture at 10 o’clock that’s 15.5mm wide, almost 40% of the real estate in front. 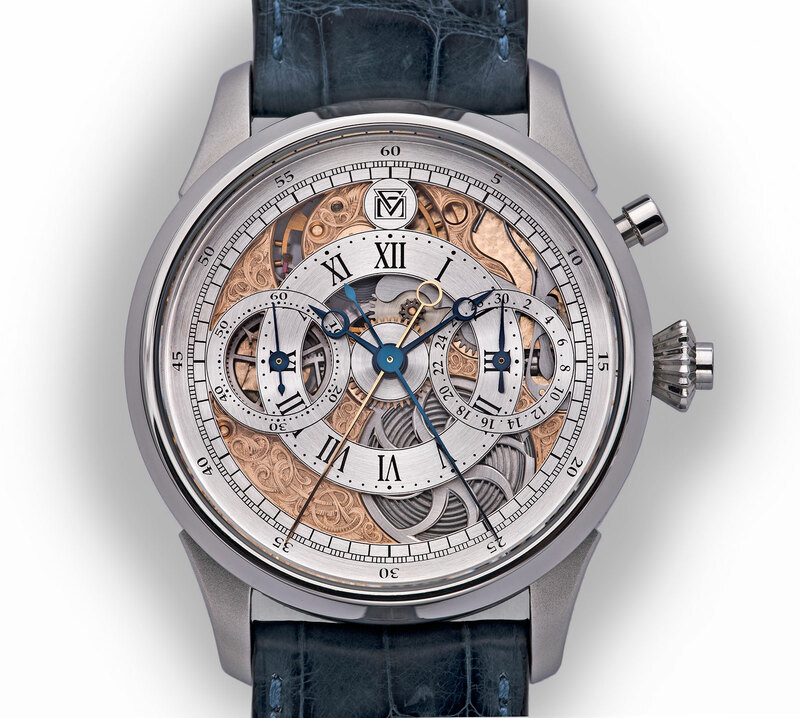 The tourbillon makes a one-minute revolution on its own axis, and another five minute revolution around the aperture. 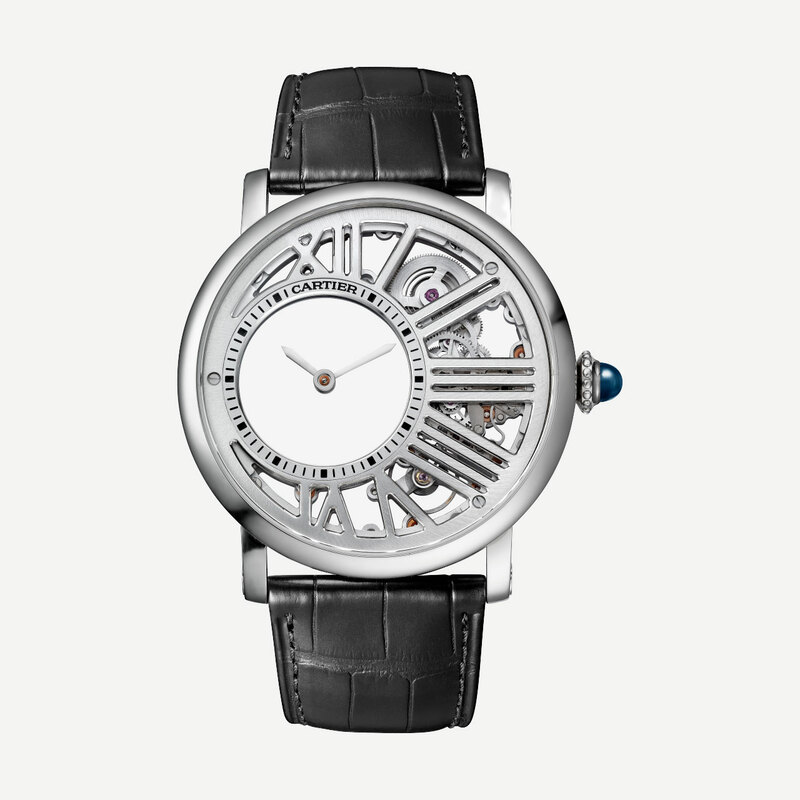 Like all of Cartier’s other mysterious watches, which are inspired by its mystery clocks of the 1930s, the secret to the floating tourbillon is a clear sapphire disc with hidden teeth on its rim that engage with the gears of the movement. Limited to 50 pieces, the Rotonde de Cartier Minute Repeater Mysterious Double Tourbillon is also available with baguette-cut diamonds on the bezel, or entirely covered in diamonds. The latter two are limited to 30 and 20 pieces respectively. 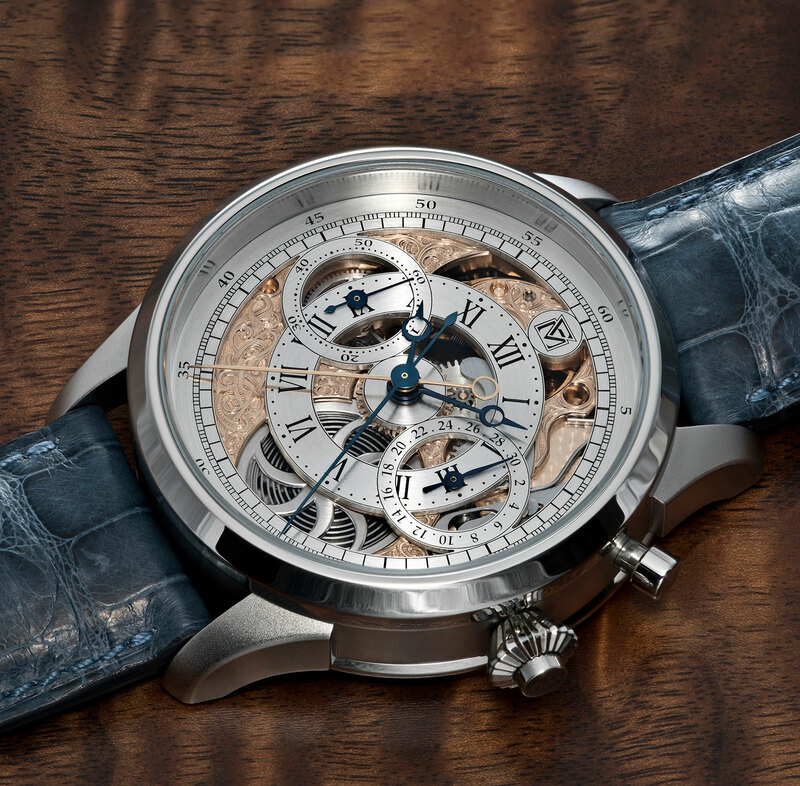 The Rotonde de Cartier Skeleton Mysterious Hour is a more elaborate variant of Cartier’s basic mystery hours wristwatch. 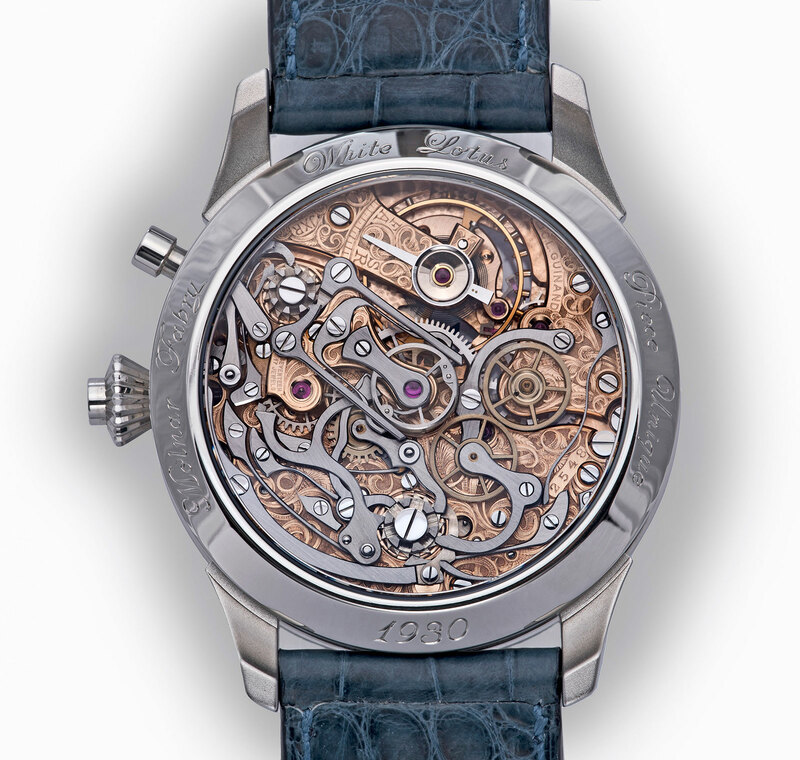 The hand-wound calibre 9983 MC inside is almost identical to that found in the other Mysterious Hour watches, except here it is has been open-worked. All the bridges and base plate are in German silver, due to the rigidity needed to compensate for the material removed to skeletonise them. Cartier’s trademark big cat tells the time on the Panthère Joueuse. 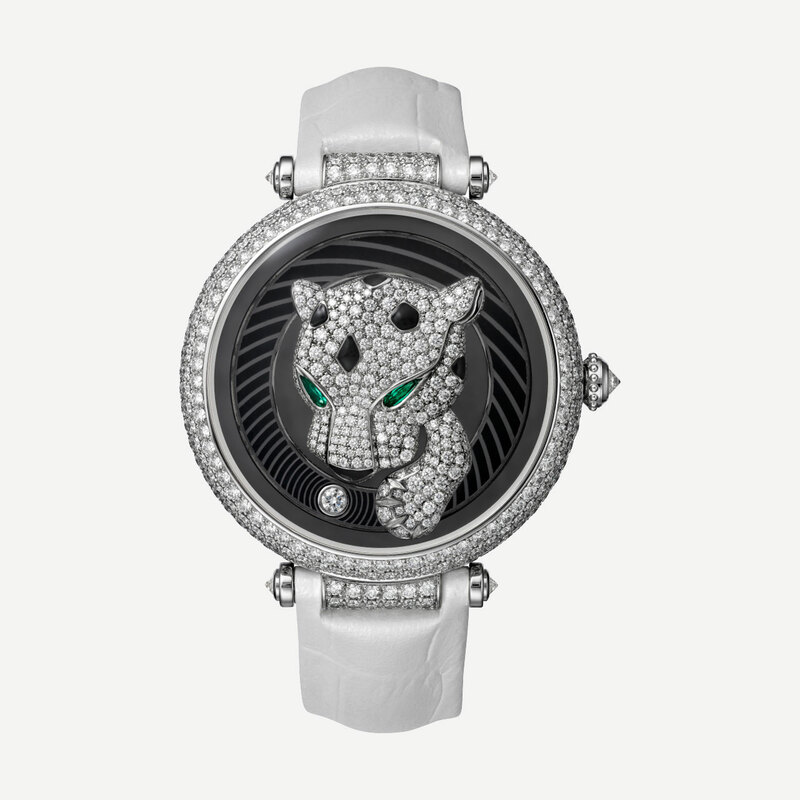 The diamond-set panther with black lacquer spots and emerald eyes indicates the minutes with its paw, while the ball it is chasing points to the hours. Like a handful of Cartier’s other in-house movements, the calibre 9918 MC inside has elastic teeth on the gears for the time display to eliminate play and ensure precise motion as well as setting. 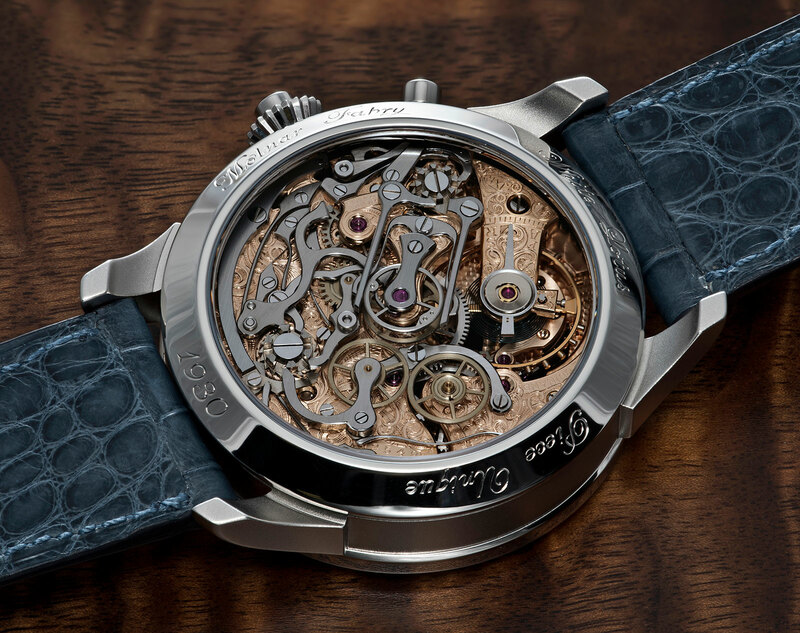 The case is white gold and 40mm in diameter, with the hand-wound calibre 9918 MC inside. The diamonds on the case and dial total 6 carats. Another version available is fully set with 17.8 carats of diamonds on the case and bracelet.